Welcome to TeriDona School of Dance! Please complete the following registration form. Attire: Hair should be pulled back off the face and secured. Dance clothing must be worn as specified by each teacher. Jeans and other street clothes and shoes are not allowed. The only exception would be tennis shoes for hip hop classes. Absolutely no boots of any type will be allowed. There will be a bin with clean, used items that students can borrow in case someone forgets their dance clothes. Food: Only water bottles will be allowed in the dance studios. Snacks must be consumed in the lobby or study areas only. NO GUM in the building! Cell Phones: Cell phone use in the studio is prohibited during class. Students may use cell phones ONLY when teachers allow to video class routines. Attendance: Students must arrive on time to each class. The entire class is negatively affected when someone misses class. Part of learning to dance is the use of space around them. If someone is absent, it creates a void and it is hard for others to get a sense of where they are on stage and where they should move. It is also difficult for the student who misses frequently because they are continuously playing "catch-up". If a class is missed due to illness or other unforeseen circumstance, a make-up class can be scheduled with the teacher or teaching assistant for a nominal fee. Tuition and fees: A non-refundable $30 per student registration fee is due at registration. Tuition is due on the first of each month. If the payment is consistently late, a late charge of $15 will be added after the 15th of each month. There is a $35 returned check fee, which is what we are charged, by our bank. Tuition is monthly, based on 10 months. Each class will receive at least 40 classes including recital and rehearsal days. In the case of inclement weather closings, a make-up class will be scheduled in the event that the closing causes a class to go below 40 during the year. Prorated classes are not an option. Please see the tuition schedule at the end of this letter. Costume Payment: We will be ordering costumes for your child for the recital beginning in September. These payments are non-refundable. All balances must be paid in full by November 15. Lost and Found Items: Please label all of your children's dance items. Items not claimed by the end of each month will be donated to the Foundry. Cancellation of Classes or Withdrawal: Your satisfaction is our number one priority. In the event you have a problem, please see our office manager, Jane Roton. She will handle the matter accordingly. 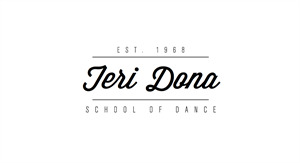 You are entitled to cancel or withdraw from a class at anytime by submitting the pre-approved Withdrawal Form provided by TeriDona School of Dance. The completed form must be returned to the TeriDona Office no less than one calendar month in advance of the next payment due date. No matter what day of the month the Withdrawal Form is submitted, the following month will be the final debit and last month the student will participate in classes. Non-Attendance does not withdraw you from a class. Donner will take dance pictures for our 2020 Recital Program February 8, 2020. The program book consists of both individual and group pictures of our students. Advertisements pay for the printing of our program and also help with the huge expenses of staging our rehearsal and recital. Each class will have a group picture in the program. Individual, duet and small group pictures may be placed in the program book at a cost of $35 per 1/6 Page Ad, $100 Per 1/2 Page Ad and $200 per Full Page Ad and may be sponsored by a business, parents, family members or friends. Your child may be included in the program book as many times as you wish. The ad is tax deductible and we appreciate your generosity. Each ad must have a picture package with it. These payments are made to Donner Photographic. Picture packages start at $40. No outside images will be permitted due to consistency issues with our printer. You will receive more information closer to picture day. Observation: Visitors are not allowed in the classrooms during class times. Our insurance does not cover anyone not enrolled in classes. Generally, students are more focused and perform better without observers present. An unfamiliar audience every week can be intimidating for some students and inhibit their progress. We are also very limited in space and it wouldn't be fair to allow one person without inviting everyone. Awards and Trophies: At our recital, awards for 3, 5 10 and 15 years of dance will be awarded. Students with 3 years of dance will be presented a medal. Those students completing 5, 10 and 15 years will be awarded a trophy. These awards will also be represented in out program book. We do recognize dance years at other studios. Please make sure you have the correct number of years on your registration information. You will be given that information closer to recital. Rehearsal/Recital: Our annual recital will be held at the beautiful BJCC Concert Hall. We will be charging every family a $50 Recital Package fee that will cover a Digital Upload video of the Recital, 1 Parent backstage pass, 1 backstage pass for each performer and a program book. Additional Tickets are available for purchase for $10 for adults and $6 for children age 3-18. Rehearsal will be May 24, 2018 at 4pm. Recital will be May 25, 2019 at 5pm. Attendance at both events is mandatory. If you will not be participating in the recital, you should let your instructor know before costumes are ordered in October. Attire for rehearsal should be a comfortable outfit with all appropriate dance shoes. Costumes are not necessary for the rehearsal. Recital will be fully costumed in full make-up and hair. Each instructor will give more specific instructions on hair/makeup. Commemorative recital t-shirts will be available for purchase. The t-shirts will be worn in the finale number at the recital. Registration Fee: I understand that there is a $30 per student, non- refundable registration fee due upon registration. Recital Package: I understand that there is a $50 per immediate family, non-refundable Recital fee in May. This covers a digital upload of the recital, 1 backstage pass, 1 dancer pass, (additional dancers passes in the same immediate family) and 1 program book. Waiver and Release: I fully recognize the physical demand required to participate in dance classes. I understand and agree that participation in these classes will be at our own risk. I hereby release, indemnify, or hold harmless TeriDona School of Dance and its officers and employees against any ad all claims, demands, damages, costs and liabilities of any kind or nature including attorneys costs and fees, for injury or death of myself or my family which arise directly or indirectly out of or in connection with any program or activity on the premises of TeriDona School of Dance. Loss/Damage/Theft of Property: I understand and agree that neither TeriDona School of Dance officers nor employees shall be responsible for any personal property, which is damaged, lost or stolen around TeriDona School of Dance. Missed Lessons: I understand and agree that no refunds or discounts will be offered for missed lessons. It is my responsibility to schedule make-up lessons directly with the instructor. I understand and agree that there will be an additional charge for these lessons. Tuition/Holidays/Inclement Weather: I understand that monthly tuition is based on a 10-month year. There will be no less than 40 classes offered including rehearsal and recital. TeriDona School of Dance is closed for Labor Day, Thanksgiving Holidays, Christmas and New Years Holidays. No makeup lessons will be offered at those times. Some months are long months and I will receive 5 classes per month. Some are short and I will receive 3 classes per month. These dates average out to at least 40 classes per year. Makeup lessons will be scheduled at no extra charge for inclement weather closings. Photographs/Video: I hereby authorize TeriDona School of Dance officers and employees to video/photograph my family or me and/or use our voice without restriction and to utilize such photographs/video/voice for any commercial purpose, including but not limited to the promotion and marketing of TeriDona School of Dance and we shall not be entitled to receive any compensation for such use. Cancellation: I understand that I am entitled to cancel this agreement and discontinue automatic draft payments by submitting the approved Withdrawal Form provided by TeriDona School of Dance. The completed form must be presented to TeriDona School of Dance Office Manager no less than one calendar month in advance of the next payment due date. No matter what day of the month the Withdrawal form is submitted, the following month will be the final debit and last month the student will participate in lessons. Collection: I understand that my or my students failure to regularly attend classes does not relieve me of my obligations, regardless of circumstances, to pay the monthly amount as outlined above until I have provided notice as outlined above. It is agreed that no representation or statement except herein typed shall be binding upon TeriDona School of Dance. If default of payment occurs due to debit rejection for any reason, I agree to pay a $35 fee and settle the debt within 7 days of notice from TeriDona School of Dance. If payment is not made, I agree to pay late fees, attorney fees, cost of collection, court costs and all other fees related to the collection of outstanding debt. AS ADDITIONAL CONSIDERATION FOR THE SERVICES TO BE PROVIDED BY TDDance LLC, ITS OWNERS AND EMPLOYEES, _________________________________ (hereinafter referred to as the "PARENT"), AS THE LEGAL GUARDIAN(S) OF ________________________ (hereinafter referred to as the "MINOR CHILD" or "MINOR CHILDREN"), ON BEHLAF OF THE PARENT INDIVIDUALLY AND THE MINOR CHILD OR MINOR CHILDREN, hereby agrees to release, indemnify, defend and hold harmless, TeriDona School of Dance, its owners, agents and employees, from and against any personal injury, property damage or any other losses, claims, damages, and liabilities, suffered by the MINOR CHILD, MINOR CHILDREN or PARENT arising out of, relating to or caused by the negligence of TeriDona School of Dance, its owners or employees, or any injury caused by a third party while on the property of TeriDona School of Dance. PARENT further agrees to indemnify, defend and hold harmless, TeriDona School of Dance, its owners, agents and employees, from and against any personal injury, property damage or any other losses, claims, damages, and liabilities, suffered by any third parties in the care and control of PARENT arising out of, relating to or caused by the negligence of TeriDona School of Dance, its owners or employees, or any injury caused by a third party while on the property of TeriDona School of Dance. In the event that TeriDona School of Dance is required to hire an attorney or initiate litigation to enforce the terms and conditions contained herein PARENT further agrees to pay the reasonable attorney's and litigation costs incurred by TeriDona School of Dance. Without limiting the foregoing, TeriDona School of Dance wants its parents and students to be aware of the following policies and guidelines to avoid any potential liability. Your signature, electronic or written signifies that you have read our handbook in its entirety and understand the policies set forth. I give my permission for photographs of my child to be used for promotional purposes associated with TeriDona School of Dance of Dance. This includes program books, newspaper articles, print ads, TDD website and social media sties monitored by TeriDona School of Dance of Dance. •	All clients are required to keep a Visa, Mastercard, American Express and Discover (may be credit OR debit) on file which will be encrypted in a secure database. This card will be drafted for all dance fees as noted in the auto draft schedule below. •	I understand that I MAY pay my dance fees by cash or check. However, the cash or check payment MUST be received prior to the scheduled auto draft date. Otherwise, the fees will automatically go to auto draft. •	If my card on file expires or is no longer valid, it is my responsibility to inform the office and replace the invalid card with a new card. •	If my card is declined, I am aware that my account will be subject to a $15.00 late fee. In the case of a declined card, the studio reserves the right to re-try the auto draft again within a 2 week time period of the original attempt. •	A $50 Recital Package per family will be charged in May and will include 1 backstage pass, 1 student pass, 1 program book and a digital upload of the recital.